Ben Wittkugel and Jared Jones met in the Fall of 2013 at Indiana University in Bloomington, Indiana. 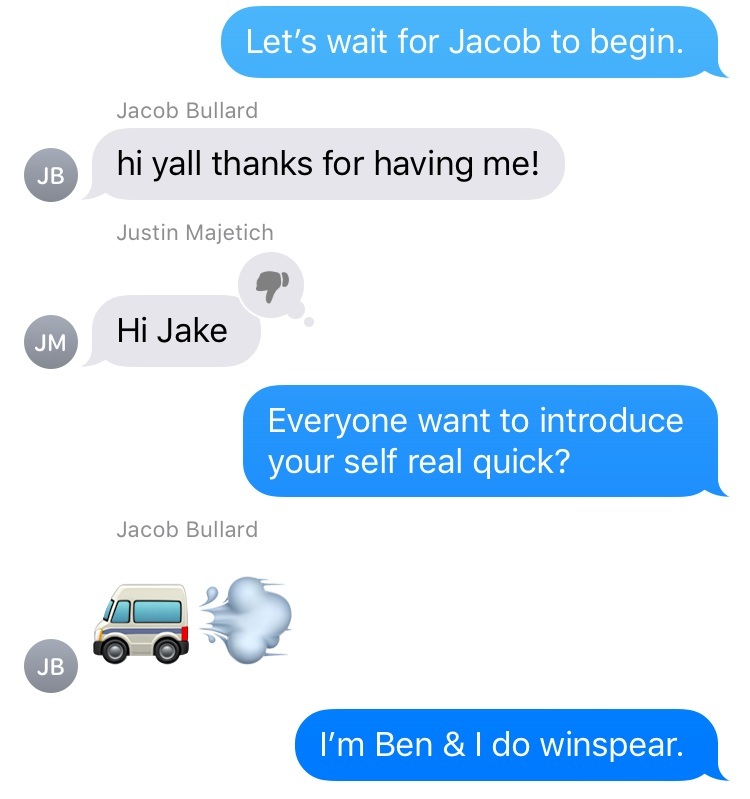 They started booking shows together and then started their label Winspear, in 2015. Ben currently lives in Queens, NY while Jared is based in Bloomington, IN. 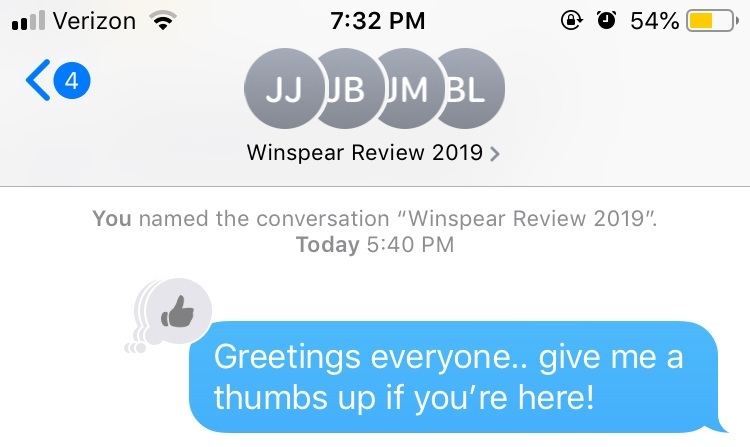 The Winspear Review 2019 is their third annual event where they bring together their artists for one night to start up the new year. Past years have included Hoops, PARTS, Spissy, Amy O, and Kevin Krauter to name a few. 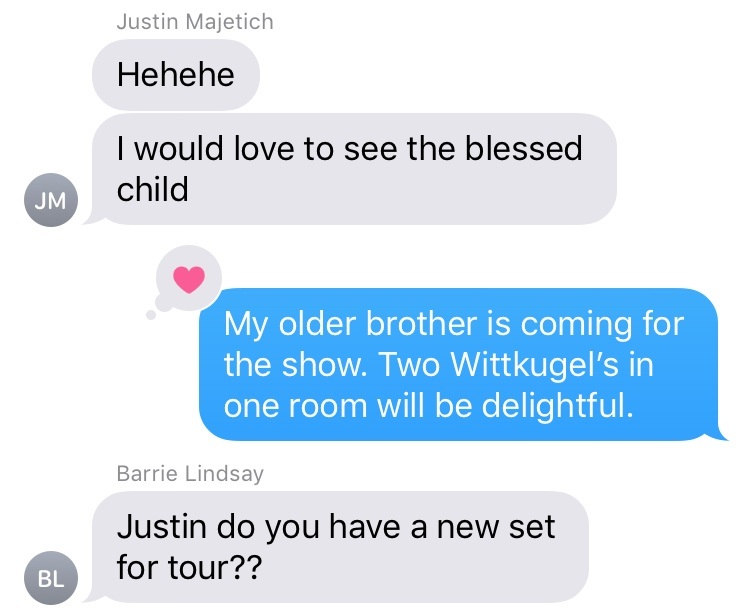 In lieu of the review coming up this Thursday at Baby’s All Right, Ben started a group chat with the Winspear family and this year’s lineup, Barrie Lindsay of Barrie, Jacob Bullard of Major Murphy, and Justin Majetich of Majetic. Read up for emojis and cute pics. Keep up with Winspear on Instagram and find tickets to the show here.